WordPress has announced that the initial release candidate of WordPress 3.2 is now available, meaning that the general release of WordPress 3.2 is right around the corner. There are some really cool new features and improvements sure to make a lot of folks happy, but there are also some significant changes in WordPress requirements that you should be aware of, lest you click the magic upgrade button in your WordPress admin and be disappointed. As most of us know, keeping WordPress up-to-date is extremely important. It’s easy to understand how WordPress installations remained out of date prior to the automated update features being added to core WordPress several versions back, but these days there’s almost no excuse. It never ceases to amaze me how often I work on a new client’s existing WordPress website to see them running versions of WordPress as old as 2.7 and 2.8. Because of its incredible popularity, WordPress is constantly targeted by hackers looking to exploit security vulnerabilities in the system. These vulnerabilities are usually caught and patched, resulting in incremental updates that keep WordPress fresh, clean and safe. By not keeping your WordPress installation current, you risk falling victim to malicious attacks that are entirely preventable—given that you actually guard against them by updating your code. MySQL5 and PHP5 systems have been running stable now for several years and they collectively add quite a bit of functionality, but there are still servers out there that run old web services for any number of perfectly valid reasons. If you are currently hosting with a larger hosting provider like Hostgator, Bluehost, Softlayer, Rackspace, LiquidWeb or the like, don’t sweat it—you are probably just fine. But if you happen to be with a smaller hosting company, have an account with several “legacy sites” that require older services, or are even running your own server, you may end up needing to upgrade both WordPress and the server it lives on. If you don’t know whether or not your sites are running on a server that will support WordPress 3.2, there’s a handy little plugin written by Ryan Duff called WordPress Requirements Check. Just download it and add it to your WordPress installation, and it’ll let you know whether or not you are ready for the next version of WordPress. So don’t be caught with your pants down—the official release for WordPress 3.2 is slated for on or around June 30th, so there’s still time to clean up your act and be able to join in the fun! Considering that even Microsoft is counting down the days till none of us ever have to deal with that wretched Internet Explorer 6 ever again, the official dropping of support for IE6 is hardly a surprise. Still, seeing it in online print should give seasoned web development veterans warm fuzzies on some level. IE7 is also on the way out, though WordPress won’t officially drop support for it for a little bit yet. Now that we’ve covered the important stuff that is going away that you need to be aware of, let’s talk about what’s new and good coming to a WordPress installation near you soon! We’ll start with the new and improved, streamlined WordPress administration interface. With the release of WordPress 3.0, we were introduced to a lighter, friendlier feel in the WordPress administration interface, and the refreshed version of the WordPress 3.2 interface seems to build further in that direction. I really like how WordPress has continued to make a concerted attempt to get out of your way, removing unneeded clutter, compressing the width of the left hand sidebar significantly, and reducing the height of the admin header. As you can see, utilizing the screen options when you work with posts, shown above, provides different options to working with screen options when working with links, as is shown in the screenshot below. The Help button is also contextual in this same manner, so if you aren’t sure how to proceed somewhere in any given section of the WordPress administration interface, you are always treated to pertinent assistance as shown in the example below. Open up the fullscreen mode form the editor and you’ll initially see a fairly minimal screen that gives you only essential authoring options, like the ones you see below. However, stop monkeying with your mouse for a minute or two, and all of that magically fades away in the background, leaving only a gray screen with a flashing cursor. This eliminates all the clutter from your screen—aside from WordPress’s gentle reminder in the bottom right hand corner to “Just write”. Move your cursor again, and the fullscreen view reappears, giving you formatting options just as before, as well as the ability to save your work. Pretty cool stuff, and a welcome addition for the serious blogger. WordPress is Faster. Much Faster. Another really significant development with 3.2 is how much the development team has trimmed the fat and optimized the speed of WordPress. The core development team has completely re-factored the core code in WordPress, removing deprecated functions and making things overall run much more efficiently. This results in faster page loads, faster upgrades, and faster plugin additions, and it all really shows when you are just playing around with the admin interface. Further, the switch from PHP4 to PHP5 offers significant speed increases as well. Especially with Google making changes to factor website speed and performance into organic search engine rankings, this is a massive boost for WordPress, and does nothing but help make it a sturdy platform for growth moving forward. Another important feature that has been implemented with 3.2 revolves around WordPress upgrades. While in the past, upgrades were full replacements of core code, the system has been modified to now only replace files that have actually been modified and need to be changed out. This makes the upgrade process faster, as there are fewer files to download and swap out. More importantly, it also makes the process safer and much more reliable, reducing the possibility of download errors significantly due to the decreased volume of code being downloaded. 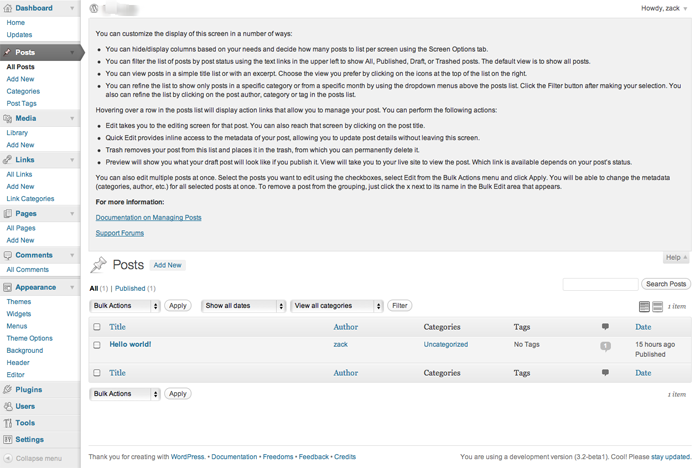 If all of that wasn’t enough, WordPress has also given us a new default theme to play with, if we so choose. Twenty Eleven looks like a fairly solid theme for something default and free, giving you a much larger array of options for customization that its’ predecessors have. Starting with two default color schemes – a light one and a dark one – out of the box, Twenty Eleven gives you several solid options including the ability to easily change the overall layout into several different configurations as you can see in the screenshot below. 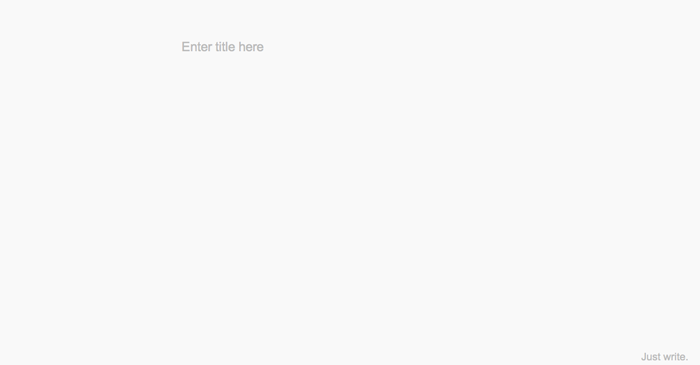 You can also change the text color, and upload your own graphic headers right through the theme options. Random header images per page are also supported, as is the ability to upload and work with your own custom background. All of these things are pretty easy to code into any custom theme anyway, but it’s nice to see WordPress making it easier for people to quickly build out a website and make it look different that the standard Twenty Ten install we’ve all come to know and identify so easily on countless WordPress installs across the Web. The new WordPress features will all be pretty useful, but at the end of the day the most important thing to keep in mind with the upcoming release is that you need to be certain you are ready for it on a server level. That said, the speed improvements alone are enough to get this developer pretty excited about the release of WordPress 3.2 (not that it was overly slow before), and I think that the revamped full screen experience should be a nice addition for frequent content editors doing a lot of work within the system. What about you? Is your server ready for WordPress 3.2, and what are you most excited to see in the new release? A seasoned Wordpress expert, Mick is a partner at Superfast Websites with James Schramko, as well as the go-to web development consultant guru for several of the top internet marketing specialists in the world. Aside from an obsessive passion for the ever-evolving technologies that bring the Web to your local browser or device, Mick enjoys music, outdoor activities, photography, spending time with his amazing wife, and observing different business models in action. Follow Mick at fbmick.com.